Motorola is likely going to announce a new Moto G smartphone later this month, on July 28, when we should also see a third-generation Moto X, as well as a new Motorola Droid. Until then, though, in case you're wondering if the upcoming Moto G is water-resistant (as reported not long ago), it looks like it is, indeed. 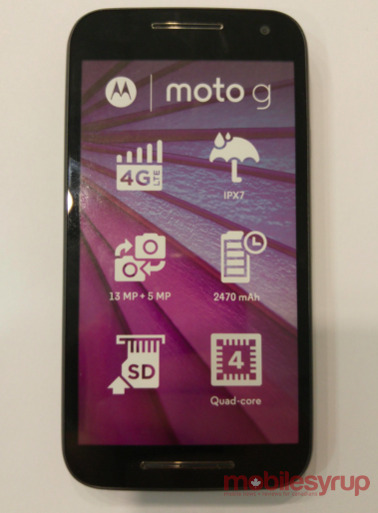 Mobile Syrup today published two images showing a Moto G (2015) dummy unit that's expected to be showcased in stores across Canada, where the new handset should be available via "at least one carrier". One of the images shows that the third-gen Moto G is IPX7-cetified, which means it's water-resistant (immersion up to 1 m for 30 minutes), but not dust-resistant. 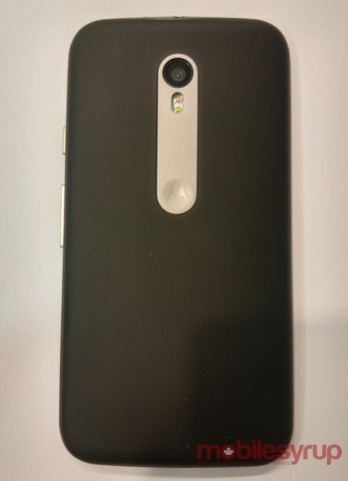 The new Motorola Moto G will also come with 4G LTE, a quad-core Qualcomm Snapdragon 410 processor, 13 MP and 5 MP cameras (rear and front), microSD card support, and a 2470 mAh battery. Android 5.1 Lollipop will be on board out of the box. Prices for the Motorola Moto G (2015) should start at under $200 off contract, and we assume that the handset will go on sale shortly after being announced. Who's planning to buy one?